The Faroe Islands? What are the Faroe Islands? A part of Denmark? But Denmark's way over there and the islands are between Iceland and Norway and north of Scotland. These were the thoughts that ran through my head as I investigated this destination when I saw it on our New World to Norway itinerary on the Crystal Serenity. Just as Iceland was a new experience, I was excited to add another new place to our been-there list. There was quite a lot of history in this area with the Vikings who explored it on their way west from Norway. Originally the islands were a part of Norway but then when Norway found itself ruled by Denmark in 1380, they became Danish. When the union of Norway and Denmark was dissolved, Denmark retained possession of the islands. 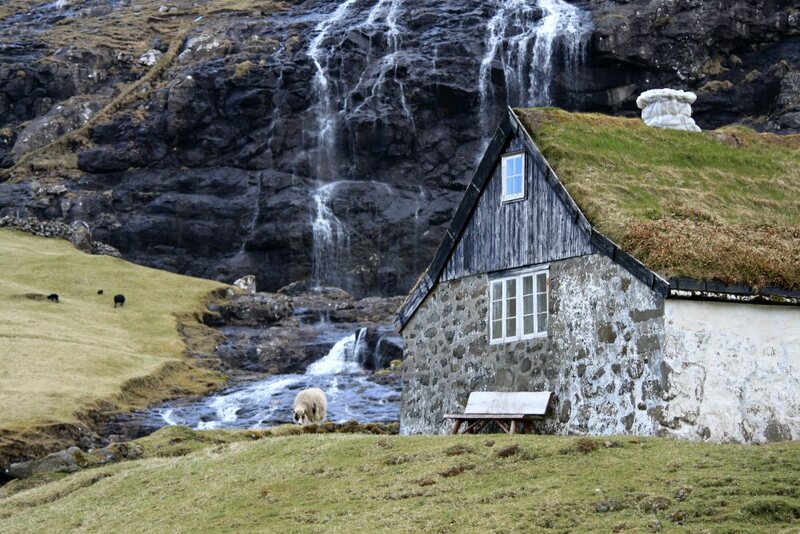 During WWII, the Faroes were occupied by the British when Denmark was invaded by Nazi Germany. In 1948, "Home Rule" was put into place which gave the islands extensive control over their own affairs although they are still represented in the Danish Parliament. They have their own language and their own money since they refused to join the European union when Denmark did. 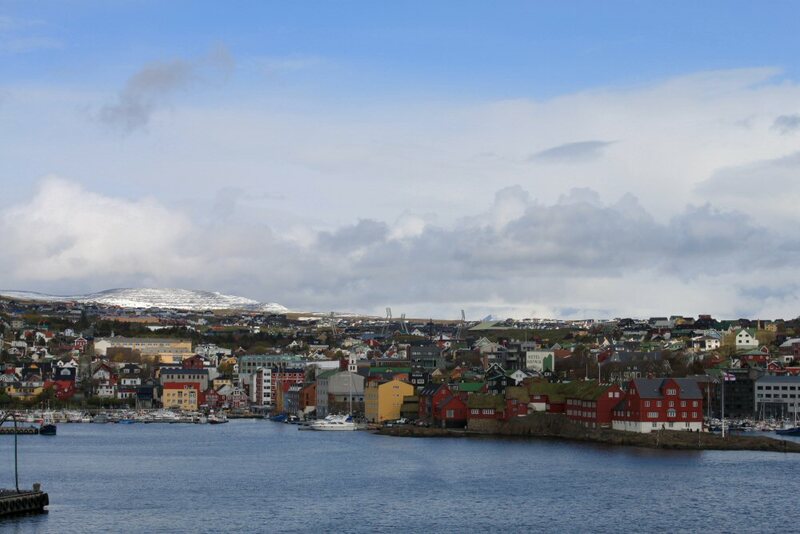 As we pulled into port, we enjoyed the vistas of snow capped mountains, deep blue waters, and brightly painted homes and buildings in the town of Torshavn, "Thor's Harbor." We would only be here for an afternoon. Our excursion was to leave shortly after noon so we ate an early lunch on the Lido deck and scurried down to our meeting point. It was another glorious weather day. We were thankful but wondered when the "other shoe would drop." It couldn't possibly hold out. Our tour bus took us out of the city and along the fjord, Kollafjordur, that just about cuts in half the island of Streymoy, the largest of the eighteen inhabited islands. While the views were breathtaking it was impossible to get pictures through the windows of the bus. About a half hour into our ride, we stopped at the town of Hvalvik to visit a very old but very well preserved church. 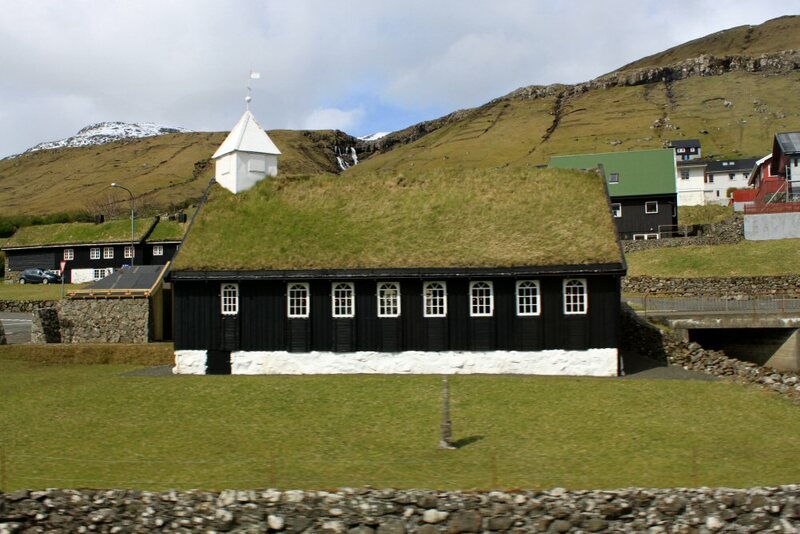 Most of the islands' religion is Lutheran. This church dates back to 1837. The wood was so well preserved it made me skeptical that the date could possibly be right or that it was the original construction. As I ran my hand over the smooth polished wood of the pew, I came to a joint and examined it closer. Sure enough, while there were a couple of modern looking nails that had reinforced the joint, there was also embedded in the wood the old type of large flat headed nail that would have been used almost 200 years ago. 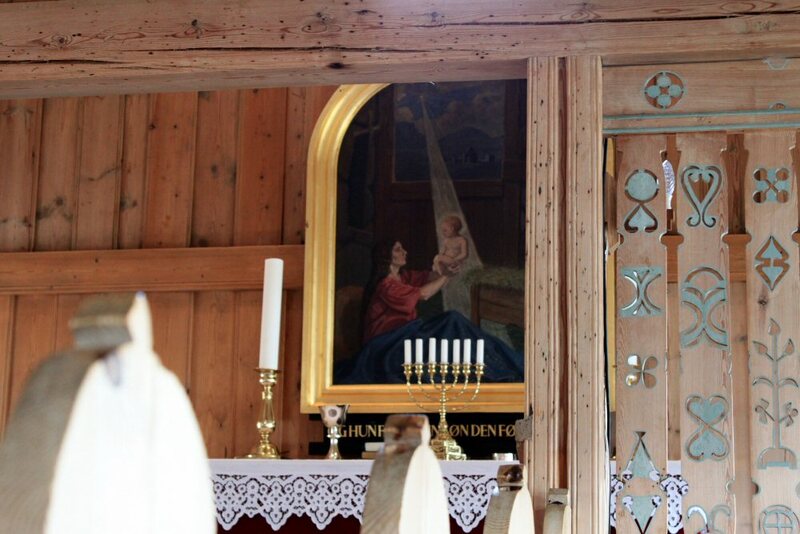 The rood screen, a screen in a church that separates the clergy from the parishioners, was intricately carved with all sorts of symbols I assume had to do with life in the Faroe Islands. The church is still used today although our guide told us that it is not well attended except for special occasions. 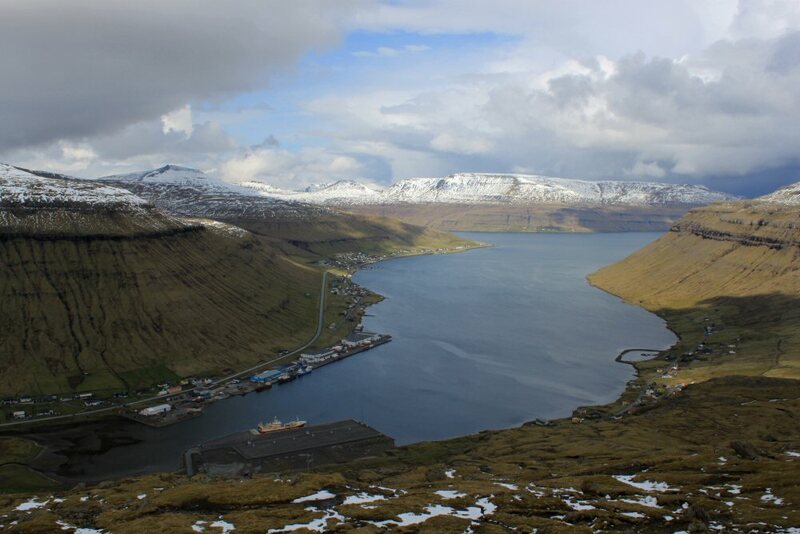 More picturesque views passed by my window as we made our way to Saksun and the little historic farm of Dúvu­garðar. The farm is still a working farm but many of the out buildings have been turned into a museum showing farming ways of the past--how far past I could not quite grasp and cannot find anything online to tell me. I would estimate at least the 1800s, possibly earlier. It was a picture perfect place with the stone facades and grass roofs and the bay area and cliffs as a backdrop. 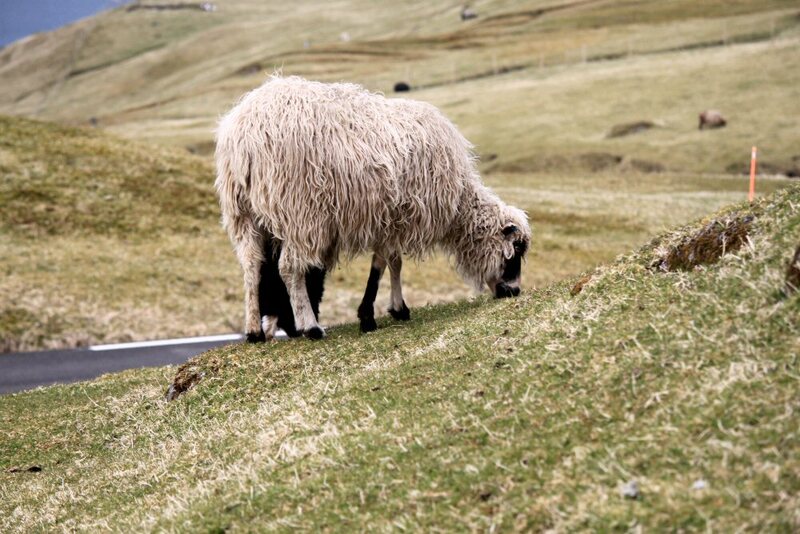 The sheep that were roaming were unusual. Not the short haired type we see back home. Their fleece hung almost as though they had dreadlocks. Below the farm buildings was an old church. We weren't able to get inside but it looked like it was all wood inside. It had a small graveyard in back. What a beautiful resting place! Rain chased us back to the bus in a hurry but by the time we were on our way again, the skies cleared and the sun shone again. Along the way back to Torshavn, we stopped on top of a mountainside to view the fjord below us. We were even high enough to find patches of snow although the temperature was not cold. 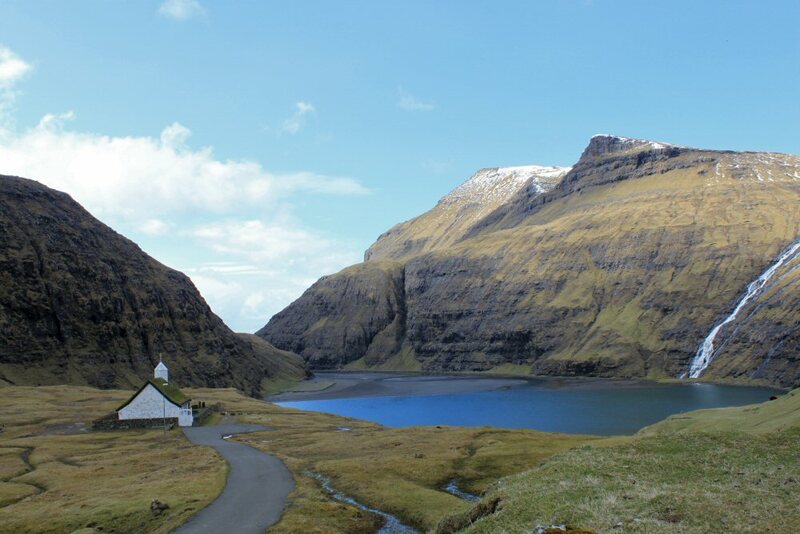 The Faroe Islands sit in the Gulf Stream and temperatures are moderate most of the time. 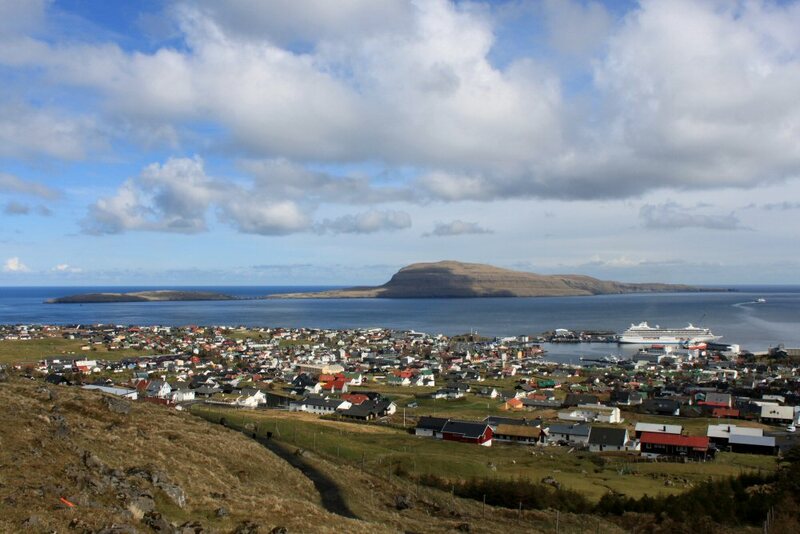 As we neared Torshavn, we stopped one more time for a view of the city from above. Colors of the buildings and houses contrasted with the overall green of the land and the blue of the sea. Clouds painted the sky but they were the good kind. The kind that promises to let the sun shine through. It couldn't have been a more perfect day. As we snapped our last photos, sheep wandered past us again. In the Islands, if you hit a sheep, you have to pay the farmer. They are all tagged (as opposed to painted like in Ireland) but wander freely everywhere. Back on the ship as we pulled out and headed for Norway, I wondered if the Faroe Islands would make our return list? Perhaps, when we want to take the time to just relax and soak up the beauty of God's earth.